Many people do not realize that there are various methods our Cricklewood (NW2) professional carpet cleaners can use to clean your carpets. With us you can choose between dry and steam carpet cleaning (hot water extraction) depending on the type of carpet or rug that you need to have cleaned. 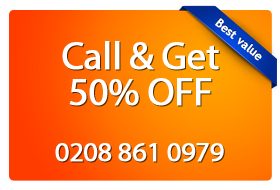 To book a cleaning and get your free quote call 0208 861 0979 or simply fill in our contact form below. Expert Cleaners Our seasoned carpet cleaners in Cricklewood NW2 have been trained by experts in stain removal and hot water extraction techniques. World Class Equipment Our technicians in Cricklewood NW2 are equipped with tools and machines provided by the industry leaders – Prochem, Rotovac and Karcher. Dry carpet cleaning can get rid of a lot of the dust and other particles that may cause allergies and even sickness. The main difference between dry carpet cleaning and wet cleaning is that one is dry and the other uses some form of liquid solution. Even so, the carpets will always have to be vacuumed before either is performed. Magic London’s Cricklewood (NW2) carpet cleaning is the solution for all your carpets, rugs and upholstery needs.